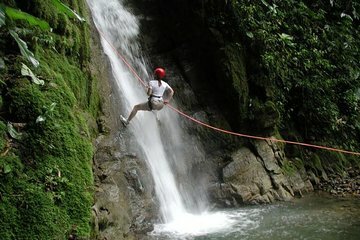 Raft, rappel, and visit an organic farm on this adventurous tour from La Fortuna. Spend the morning raising your heartbeat with a supervised waterfall rappel and white-water rafting trip over class III and IV rapids, and then head to an authentic farm for a hearty organic lunch. This tour also includes hotel pickup and drop-off from La Fortuna for easy transportation.